If there’s no video, it didn’t happen. 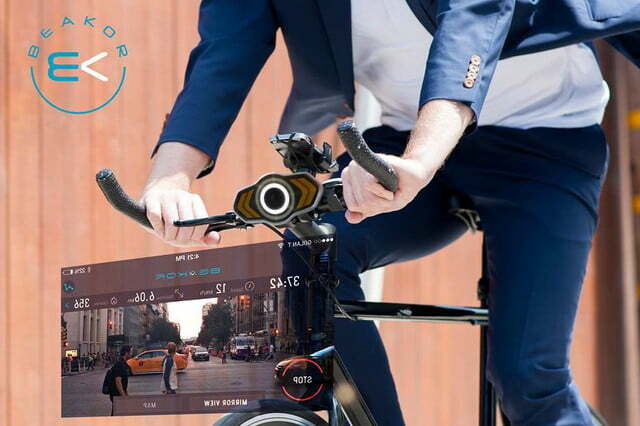 No surprise that cameras are being incorporated into gadgets for every sport, and cycling is no exception. 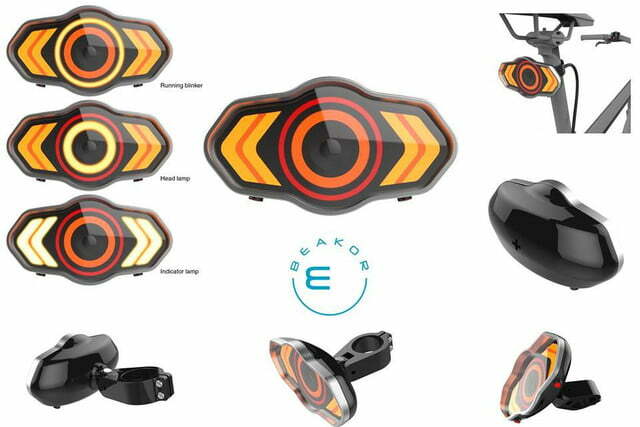 The new cycling light-camera combo Beakor is a perfect example: a live rearview is just one of its plethora of features. When he was training for an Ironman, he realized safety and security for cyclists still has a ways to go. 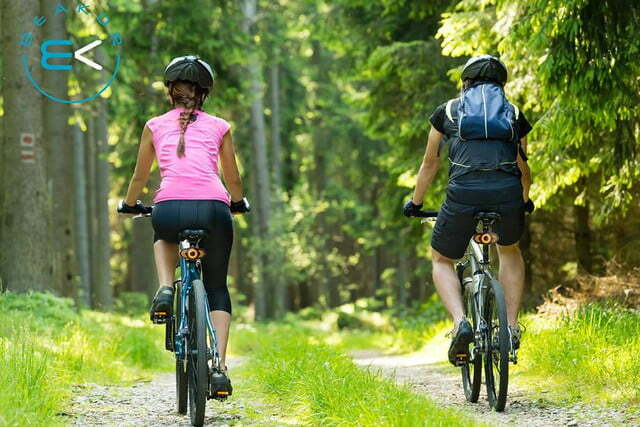 “I was cycling on small roads in south of France where I was alone and could be hit by a car. I was wondering if it happened, how people or emergency would be alerted,” if the person that hit him didn’t stop. So in addition to the cameras catching the culprit, the Accident Alert System automatically texts or emails emergency contacts if the rider goes down. For the majority of rides — when the rider will remain upright — the front and rear Beakor HD cameras will record automatically or can be controlled via the Beakor app. The arrows to either side of the cameras are remote-controlled turning indicators complimented by a headlight or an accelerometer-based brake light. 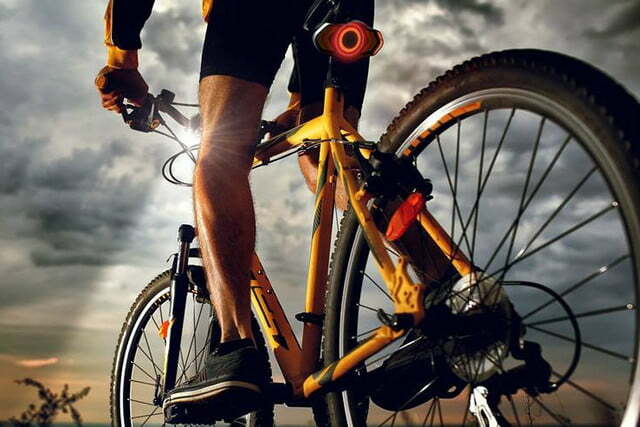 Turning indicators and brake lights are becoming more common in electronic biking accessories, but Beakor also projects a laser turning arrow on the ground and an image of a bike on the pavement ahead, akin to the Blaze Laserlight. 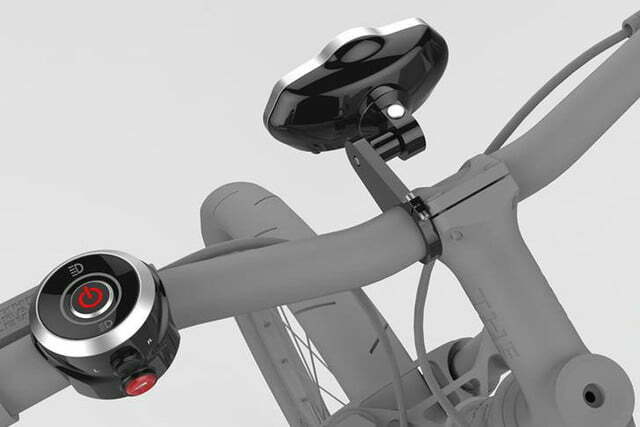 Anti-theft is covered too, with a tilt sensor that detects if the bike is just being moved a bit — say, as someone else locks up nearby — to cut down on false alarms. Of course Beakor’s app has modern features, including like video sharing, live cast, and automatic looping. With the app tracking stats and displaying speed, distance, elevation, and even temperature, it’s easy to review metrics like how far and how fast you traveled. Data shares easily to Strava and Runkeeper. To get the same capabilities using common gear, that would mean loading a bike with a Garmin handlebar device to track stats and routes, a headlight, taillight, and a pair of GoPros — at that point your bars begin to look like R2D2’s chest after he’s gotten a nasty shock. Beakor is all that, plus the accident and theft alerts, turning signals and the laser projections. Even if a rider had lights with built in cameras, a Beakor setup is still less gear to carry, and with the alerts, lasers, and turn signals, it does far more. The Beakor camlights charge via Micro USB and last about five hours. That’s more than long enough for the average commute, but you’d need to charge them up mid-ride if planning to be out all day or night. Keep an eye out for the Beakor Kickstarter campaign set to launch September 1. The devices are projected to ship in February 2017.